Nigeria international Odion Ighalo's father, Paul Ighalo, has passed away. The late Paul Ighalo died around 2 a.m Monday after he complained of general body weakness. The Watford striker announced that it was painful his father has passed on. 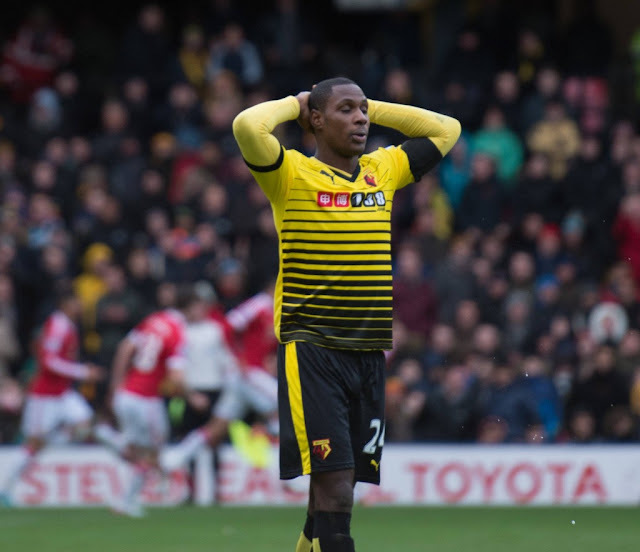 "I lost my father early hours of today (Monday),” Ighalo told rporters. “He had complained of weakness before going to bed last night and they discovered by 2 am this morning that he is gone. It is a very painful loss." On Sunday, Ighalo and Watford failed to reach the FA Cup final in England after they lost 2-1 to Crystal Palace.